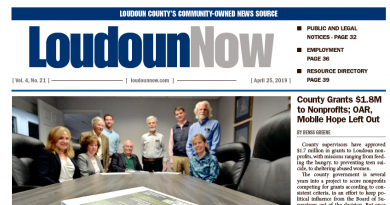 Editor: Your lead article “County, Consultant Reports Conflict on Housing” renews the ever-running argument that more housing will bring more economic development which in turn will allow lower taxes for everyone. Evidence over the past 25 years does not support this conclusion. Less than 50 percent of the county’s workforce works within Loudoun County. As this percentage increases the need for new housing is reduced. When the Metro opens, it will bring workers to Loudoun for local jobs. So there are trends that suggest Loudoun can grow economically without massively increasing housing with all its related costs. What the numbers do suggest is that the county has already committed to massive increases in density in the suburban eastern area, but they conveniently leave out the related public costs for transportation, schools, parks, ball fields and public facilities. While the entire county already has deficits in these areas it would appear that services for a population not yet here will take the priority over the needs of those who are paying the taxes today. The more interesting question is: Do the citizens who reside here now have any voice in the future of the county? The answer to this question will become obvious in 2017 when the results of the Envision Loudoun exercise become public. Will the public interest be protected over the private interests? If so how? Stay tuned.